Historically speaking, I can’t say I’ve ever been truly excited by knitwear. Coming from London where skies are abidingly grey, I tend to bracket my woollies into the “essentials” category. Practical? Absolutely. Luxury? Not so much. And that (questionable) logic is the reason why I’ve always preferred to snap up a cut-price high street jumper instead of saving up for a new-season splurge. But more fool me. After 34 years, I can safely say that I’ve finally cracked knitwear – and it feels good. The first step? Appreciating quality. Don’t get me wrong, I’m all for cutting corners and hunting down high street bargains, but in the woollies arena, it’s always worth buying less and spending a little more. Bear in mind that knitwear is one of the most versatile and least trend-driven components of your wardrobe, meaning that if you base your purchase on cost-per-wear, it’s well worth investing in quality fabrics like cashmere and merino wool. Rule number two is to rethink where knitwear sits in your ensemble. Break away from the view that your woolens are an afterthought or accompaniment and instead look at them as the glue that holds everything together. A gorgeous cashmere sweater in a directional colourway can luxe up a simple pair of jeans and loafers in an instant, while neutral-toned knitwear offers an easy means of toning down an eccentric outfit. On this occasion, I went for the latter. It’s not everyday you get to dress up like Elton John and as much as I adore this Acne suit, I needed something to bring it back down to earth. Cue Massimo Dutti, aka Zara’s premium sister brand. Understated yet luxurious, it’s one of the best labels I’ve come across for timeless wardrobe classics. This camel roll-neck is a great example; it works just as well with tailoring as it does with jeans or a leather mini. And best of all, it looks expensive. With all the outlandish trends coming our way for AW18, now’s the time to stock up on a few cherry-picked jumpers, roll-necks and cardigans to transform the hard-to-wear into the wearable. Given the cost association, it’s wise to pick a neutral shade that work with multiple colourways and prints, whilst keeping an eye out for subtle detailing. 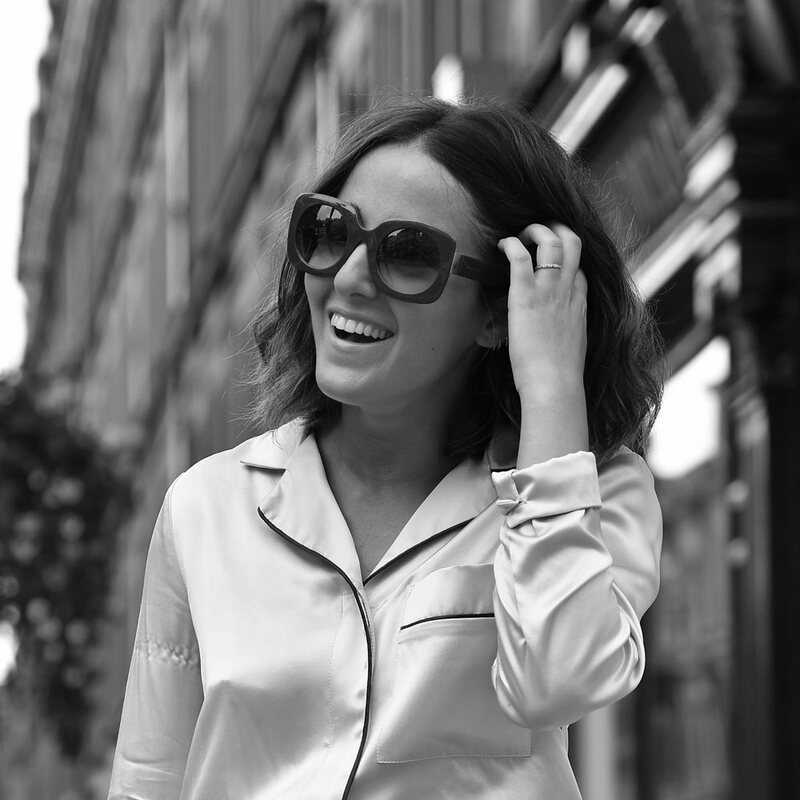 Nini is a London-based stylist and the Fashion Editor of PHOENIX Digital. With over 10 years experience working on the UK’s biggest-selling magazines, she currently splits her time between styling celebrity and fashion shoots for PHOENIX Digital and working with a host of commercial brands in a consultancy and styling framework to create some of the biggest ad campaigns on the market.